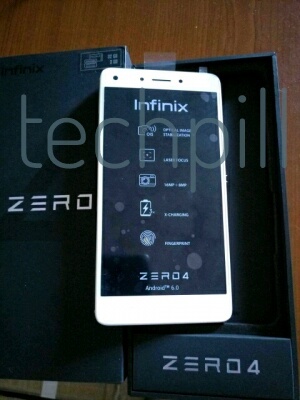 The infinix zero 4 is coming, though not announced yet. But a leaked specs is available for you here. Its seems infinix is following the same Tecno phantom 6 strategy. Anyways, infinix will be releasing two device this year, the infinix zero 4 and infinix zero 4 plus. Infinix is known to produce cheap, budget friendly, affordable smartphone, which have earned the company trust especially from Africa countries The infinix zero 4 might come with a 20.7MP rear camera with dual LED flash for photography enthusiasm and 8MP front camera with soft flash. A 5.5-inch screen size, 4 GB RAM, Fingerprint Scanner, 4,000 mAh battery and the latest Google Android 6.0 Marshmallow out of the box.